Proporciona las herramientas necesarias para elaborar sermones tem ticos, doctrinales, expositivos y textuales. This book meets the great existing need to equip preachers. 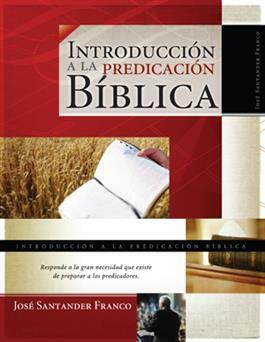 It provides the necessary tools to develop thematic, doctrinal, expository and textual sermons. It comments about the role of the text, the importance of having a defined proposition and methods of delivery. It also underlines the importance of preparing oneself personally through prayer, by getting proper rest and by caring for personal appearance. This is an autodidactic text (for basic, medium and higher levels).